Home»Westgate-Jones Insurance Blog»Westgate-Jones is a Toys For Tots Drop Off Location! 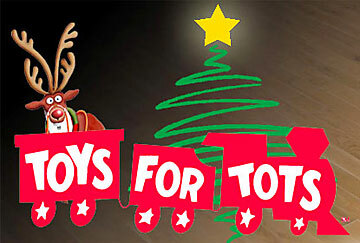 WESTGATE-JONES IS EXCITED TO ANNOUNCE THAT WE ARE A TOYS FOR TOTS DROP OFF LOCATION! Please help us make a difference this Christmas season by donating new, unwrapped toys to any Westgate-Jones location. Toys should range in age from birth to 13 and will be delivered to children in Lake County. There is a specific need for toys for babies and girls from 10 to 13. The last date to drop off toys is December 4th. Lets join together and make a difference in our community! For more information please contact the Main Street office at 352.787.7548.